Shan Singapore offers high quality subtitling services for all types of genres from clients all over the world. Subtitling is the systematic time based representation of source video to a language in written form which includes timelines. We provide Subtitling service in such a way that it is made possible for easy reading for each frame and matched along with relevant potion of video. 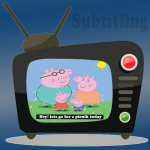 Subtitling has become an important tool for reaching out to mass audiences. It saves on the expenses of dubbing by providing subtitling in many languages. It also helps in reaching out to people who have language difficulties or have hearing problems. We feel, Subtitling is more than just translating a word to another as proper use of phrases, idioms are also to be taken care of. Through our network of experienced translators we can provide subtitles in over 200 language pairs. Our professional team of translators is skilled to translate dialogue while capturing the same style and substance of the content. We have the most up-to-date softwares and industry formats to cater to different needs of the clients. Our team of translators at Shan Singapore can handle large volumes of work while maintaining the quality standards of the company. Shan Singapore is competent in adding subtitles to any existing video material or voice over tracks.